(Bloomberg) -- The European Union is warning allies that if President Donald Trump dismantles the World Trade Organization it would create global havoc. Trump has called the WTO the “single worst trade deal ever made.” And while he would need congressional approval to follow through on a threat to leave, he’s already set in motion measures that could paralyze the organization’s ability to arbitrate disputes later this year. The U.S. last year unilaterally imposed duties on foreign steel and aluminum and Trump has also threatened to hit European cars and auto parts with levies. On Monday, the Office of the U.S. Trade Representative said it was preparing tariffs on $11 billion of imports from the EU because of subsidies the bloc provided to Airbus SE. 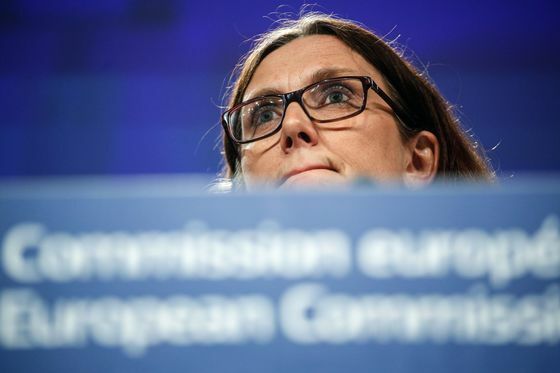 The EU has started discussions aimed at reforming the WTO in an effort to appease U.S. concerns, but talks haven’t produced results yet.